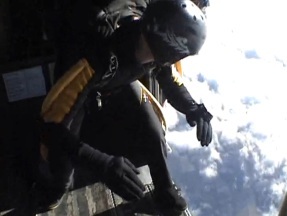 Chris Worth is a London-based entrepreneur, marketing pro, Warwick MBA, and intrepid skydiver. From the boardroom to the back country, Chris sees life—and business—as a bold adventure. We tracked Chris down and threw him some questions about marketing, B-school, books, and what he’s doing to keep the spirit of adventure alive in our kids (all while keeping his lively British spelling intact). Edward Klink: Chris, your self-titled blog was mentioned in that popular “Cluetrain Manifesto” book a decade ago and you’ve since pounded out a thousand or so posts for over a million pairs of eyeballs. So what are the elements of a good blog? Chris Worth: A million? Wow, yes it must be—it hit 60,000 page views a month in its prime. The reason I started it (back in 1997) was perhaps due to one of those elements: I was living in Asia and having an interesting time both inside and outside work, so I just wrote about the parts of those cultures that inspired me. The streets, the bars, even the local noodle shop. That’d be my reason 1: be interesting. Second, remember Strunk & White. Write in proper sentences with concrete nouns and active verbs; use punctuation properly. A blog in Swedish Chef dialect may be amusing the first time you read it, but the English language coalesced into its current grammar and vocab precisely because that was what most people understood. I’m still working on this: just yesterday I was criticised for referring to a woman as “my gf”, which is txt-speak a man approaching 40 probably shouldn’t affect. 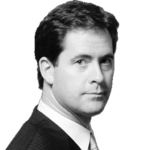 Edward Klink: : Well, we live and learn. What else do you like in a blog? Chris Worth: True, Ed. Let’s see, a third good element? I like to be episodic. Even a business blog—driven by advice rather than personality—should still be bylined, written by a recognisable person in a narrative context. If you learned something today, write about it today. If next week you learn something that adds to it (or contradicts it completely), write about that and refer back to the previous blog. One of my most-read posts was about something very down-to-earth: studying for the GMAT exam to enter business school. It was a simple day-by-day account of doing practice tests and the questions I had trouble with, yet I still get emails about once a week thanking me for it. Edward Klink: After years in the working world you recently went back and earned an MBA from Warwick, a top-ranked business school. What’s a great nugget of advice you learned in the program? Chris Worth: People do MBAs far too young, and end up treating a legitimate qualification as some sort of “badge of rank”, rather than for what it is—a toolbox. The biggest thing I learned is that these techniques –everything from strategic analysis to financial modeling—are only useful if you actually put them into practice, and keep practicing, every day. The last two years have been the most rewarding of my life, and I still go back to Warwick and talk to current students as often as I can. 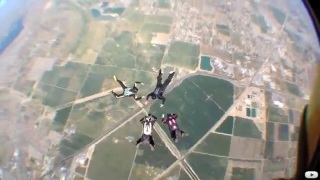 I’m still in the Skydiving Club there, after all [laughs]. Edward Klink: You’ve also done a lot of world traveling, much of it with a backpack. What’s the best business lesson you learned out on the road? Chris Worth: From a little shopkeeper in Tokyo: just remember who your customers are. He was an amateur cartoonist, and behind the counter he had little pictures of all his regular customers, to which he’d add little notes over time! (“You liked this beer last week, you’ll like this beer tonight…”) That’s an example of perfect CRM: remember their names, note their behaviour, and treat them in a way that maximises the value of their interaction with you—on both sides. I probably spent Y2000 more each visit than in an average corner shop, and walked away with better wine and more interesting snacks. Edward Klink: What are some of your favorite books these days? Chris Worth: The “100 Bullets” graphic novel series by Azzarello and Risso. The way these guys develop narrative—over what, for them, was an eight-year writing project—is astounding: characters speak to each other as real people, not actors there for your entertainment, and few concessions are made to the reader. I think Garth Ennis described it thus: “If a character doesn’t know what’s going on, he’s doomed.” And the last panel of the last issue is one of those that genuinely, completely, explain everything. Edward Klink: That’s true, especially since we’re all characters in a story. What about marketing and business? 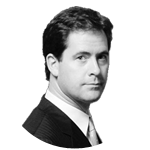 Chris Worth: I still love “Blue Ocean Strategy” by W. Chan Kim and Renee Mauborgne (and I loved it before one of their associated businesses became my client in Paris). Why? Because an innovative business premise is strongly supported by the hardscrabble work of research and “doing the numbers.” I use the method with my clients a LOT. Also, “Molecular Biology of the Cell” by Alperts et al. It’s everything a textbook should be: clear, concise, and brilliantly written and illustrated, a perfect piece of information design. Read it as a copywriter and you’ll swoon with delight. Edward Klink: Three to take to the beach! As a marketing director, what are the biggest mistakes you see in campaigns? What’s the biggest misconception people have about marketing? Chris Worth: Oddly, I’ve just written a couple of campaigns again after three years as a “pure marketer” not getting involved in the creative aspect, and quite enjoyed it. The mistakes I see in campaigns today are the same as when I started in 1993! First off, arrogance. “Our product’s the best”, “run don’t walk”, “you’d be a fool not to.” Nothing turns real people off faster than being talked down to. The great creative director John Hegarty once summed up a great ad in one word: “Irreverence.” So the biggest misconception in marketing is that we’re actively trying to treat you, the consumer, as a fool. And far too often, that “misconception” is correct. I have the luxury of being able to pick my clients these days—after all, there are perhaps 150,000 businesses that could use me, and I have a capacity of about 3! The ones I work with are those who genuinely care about changing the world and have great, innovative ideas for doing it. Edward Klink: What’s your favorite all-time marketing campaign and why? 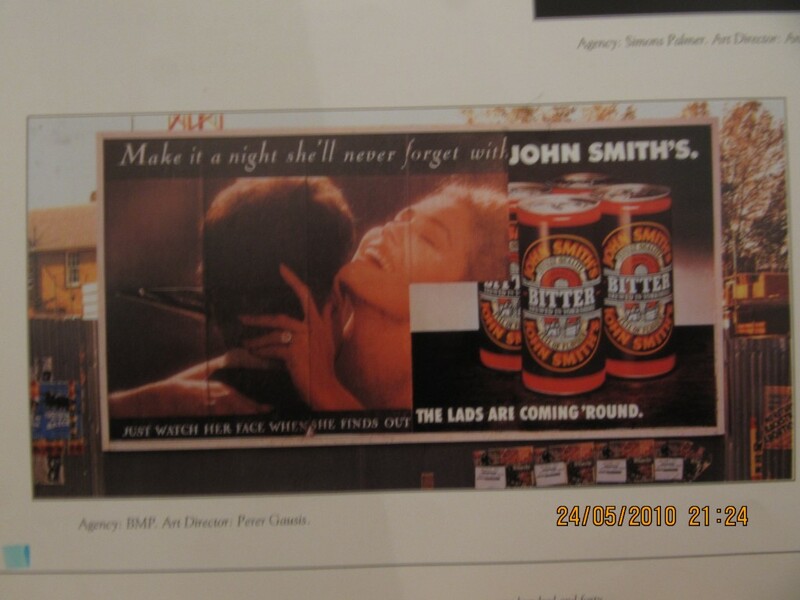 Chris Worth: A single roadside print ad many years ago for a British beer brand, John Smith’s. On a billboard, they’d made it look as if there was a previous poster beneath the half-pasted John Smith’s one, for something very feminine (the John Smith’s brand is very working-class and masculine). Then below, “Just watch her face when she finds out…” “THE LADS ARE COMING ‘ROUND!” It had everything: irreverence, laugh-out-loud funny, and credited the consumer with intelligence. Edward Klink: I like it, Chris. The big thing now of course is social media. How do you believe social media is affecting marketing for the long term? Chris Worth: What interests me is just how quickly social media becomes anti-social once you bring money into it. Like pyramid selling or multi-level marketing, the whole basis of trusted connections gets frayed the moment financial incentives are slanted towards one party. Social media is a great method of communication, but it’s the communication of a rock concert (you’re there because a lot of people whose opinions you share are there) rather than the sales seminar (you’re there because you believe you’ll gain financially from it). I think this is positive: a LOT more reasons to keep your marketing true to itself, believable AND authentic. 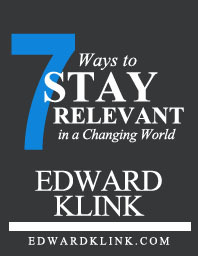 Edward Klink: Who is one of your biggest inspirations? Chris Worth: I’ve always felt close to the musician David Bowie, for the way he’s reinvented himself not once but a dozen times. Imagine it’s 1971, you’re just starting to make money, and everyone around you – your manager, your agent, your bank – is screaming at you to carry on doing more of the same. Then one night in Hammersmith you sack your band live on stage and change what you’re doing completely. And take that risk every couple of years as if it’s the normal thing to do, even coming up with non-musical innovations like selling bonds backed by your future output. It probably gets easier when you’ve trousered $60m. Edward Klink: You like to jump out of planes…so would you put an ad on your parachute? Is there any place marketing shouldn’t be? Chris Worth: Well, as you become a better parachutist you use smaller canopies and come down faster, so the advertising real estate shrinks in two dimensions as you improve, not a great marketing strategy! [laughs] Yes, I think marketing should stay out of anywhere it’s not pulling its weight by contributing cash or content. A case in point is Britain’s BBC—it doesn’t carry advertising, but instead levies a £120 tax on every household. One of those crazy things I ought to vehemently oppose, but I don’t. Like a lot of things in Britain—with its unelected upper house, its combined legislative and executive branches of government, its extraordinary police-state powers but whose cops don’t carry guns—it works in practice but not in theory. I spent a month Stateside recently and I’m always shocked by the sheer volume of ads crammed into each TV hour. Great marketing doesn’t need to be everywhere; it just needs to be effective. I love Tabasco, but I wouldn’t chug a bottle. Edward Klink: Speaking of extreme, on June 12th you are going to abseil—or rappel—off a tower in London for a cause, to “put the adventure back in.” How important is it that people—especially youth—experience adventure? How sedate and comfortable have we become? Chris Worth: Britain’s recently-departed Labour government introduced, largely by stealth, some of the most liberty-unfriendly legislation ever known—some of it destroying centuries-old freedoms enshrined in the Magna Carta—along with a library’s worth of new laws designed to trammel and control the population. For example, the UK has the highest penetration of CCTV cameras and the largest DNA database in the world. Chris Worth: Yes, and all this has had a corrosive effect: young people are growing up with a sense that their safety and liberty are… in the hands of the government. That they don’t have to do anything for themselves, which prevents them developing a proper perspective on risk. So yes, I think we are moving towards a “comfortably numb” society, where risk and adventure are frowned upon rather than celebrated. And that’s bad. Especially in a country that spawned some of the world’s greatest explorers and adventurers. The British Schools Exploration Society, which puts underprivileged youths in adventure training situations in the world’s wilder places, attempts to change that perspective. As part of their fundraising efforts, I’m abseiling down the outside of 322ft London building! My sponsorship page is here and all donations will be warmly acknowledged. Edward Klink: Sounds dangerous, but that’s our kind of cause! We encourage readers to support your efforts, Chris. Thanks for standing still long enough to share your insights with us. For more info check out Chris Worth at RedPump and on Twitter.